Nowadays the use of Web Application Frameworks has been the default choice to develop software applications inside the web domain. These frameworks provide many benefits such as: faster development, enhanced security, and clearer structure of code. However, web application frameworks have a high learning curve and each time someone wants to learn a framework, a recurrent question arises: How to reduce that learning curve and be able to use a new web application framework in a short time? Several learning techniques have been used in the context of frameworks; for instance, example-based learning, tutorials, cookbooks, and tools. Nevertheless, those approaches have their own limitations and the question about what is the best way to learn soon those frameworks remains open. In this paper, we introduce a new web application framework learning technique called CME (Concerns, Micro-learning and Examples). This technique defines a customized learning path that a novice developer should follow to learn to use a web application framework. The learning path was built as a mix of concerns, micro-learning and example-based learning concepts. To validate this technique, we carry out a quasi-experiment about a web application framework learning and the development of small web applications with: (i) the use of CME and (ii) the use of a cookbook. 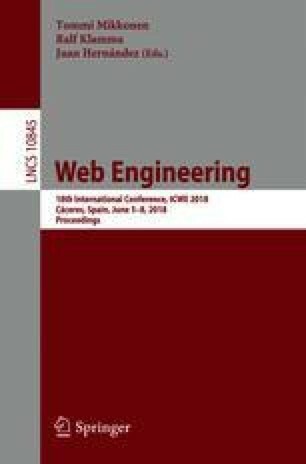 The quasi-experiment results showed preliminary evidence that when using CME, novice developers become more operational to develop small web applications in a reduced period of time compared with the use of a cookbook.